What a week!! The last 4 days have been difficult sticking to Paleo. 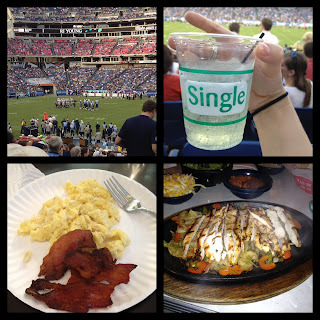 Day 4- We went to a Titans football game Thursday and I had to stay away from beer :( but I had a "Margarita" which was just some tequila with club soda and lime juice. It actually wasn't that bad! I had some wings for dinner. Day 5- Friday we went to Q-Doba for lunch- and mine was really gross. So I barely ate. Then we had friends over for football games. I made homemade pizza for everyone! It was SO hard not eating any because it looked delicious. I tried to make a Paleo pizza and it fell to pieces. I was really bummed considering I have made them lots of times before. I think it was because I was exhausted from the other pizzas and I was in a rush. 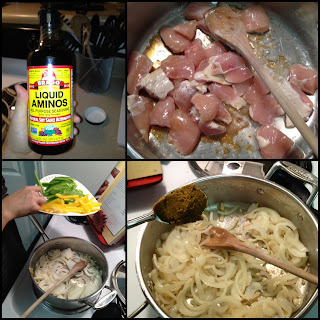 NEVER try to cook a difficult Paleo recipe in a rush. I wasted a lot of expensive almond flour on two messed up mini pizzas. So I didn't really eat dinner. I had a glass of white wine-which technically is not Paleo. The next morning I was STARVING. Day 6- We woke up and had eggs and bacon for Brunch! It was delicious. Then we headed out to a place called Chewy's for Mexican food before the Auburn game. I was very disappointed to find that the fajitas AND the salads all had meat that was marinated in beer. I was starving. We were about to go out and have a fun night- I NEEDED food. With some MEAT. SO. I had the chicken. I wasn't happy about it but needed food. Later that night we had some wings again :). I also had some margaritas. I am doing an awful job of taking sugar out. That is why I have been craving sugar A LOT these past couple of days. My goal this next week is to really take the sugar out because it is just as bad as the wheat & grain. 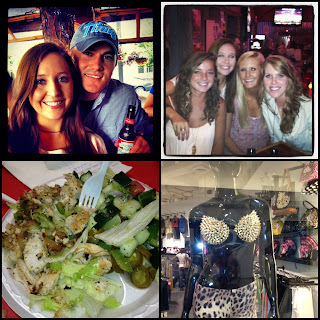 Here are some pics of Saturday night! We had a great time with our friend watching football. Day 7- Today (Sunday) I woke up, had a paleo bar and headed to the outlets for some shopping with my friend. At the food court they had this greek place and I got a big salad with delicious chicken. It was a really good lunch. Here is a pic of an outfit I purchased (just kidding!). Today has been a rainy day. And I decided I would put all those awesome thai spices & the Red Kuri Squash I recently bought to use. 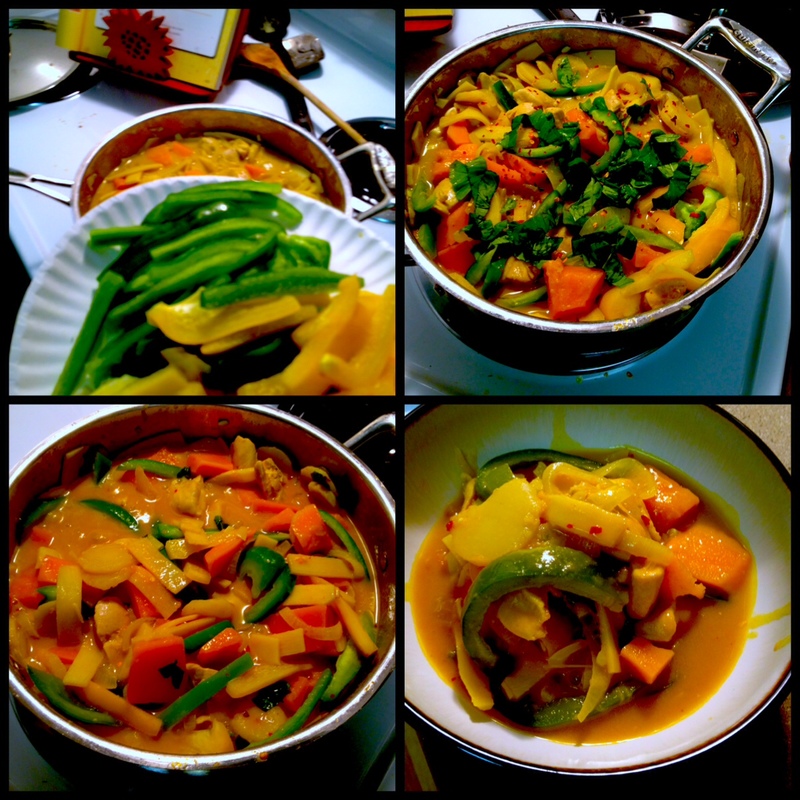 So I used about 4 different curry recipes and created a VERY good Paleo Green Curry recipe. 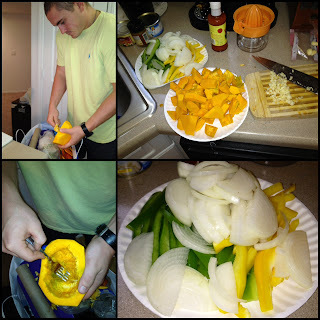 First- Matt cut & cleaned out the seeds of the red kuri squash while I thinly sliced the onions, bell peppers and chopped the garlic (about 6 cloves). Next- I cooked the chicken in coconut oil with a splash of Amino Acids and removed the chicken. Then I added the onions and garlic in the juices and cooked those for about 5 minutes. I then added 1-2 Tablespoons of the green curry paste (depending on how spicy you like it). 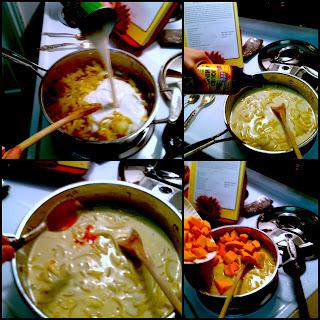 Then I added the can of coconut milk to the onions, garlic and curry paste. 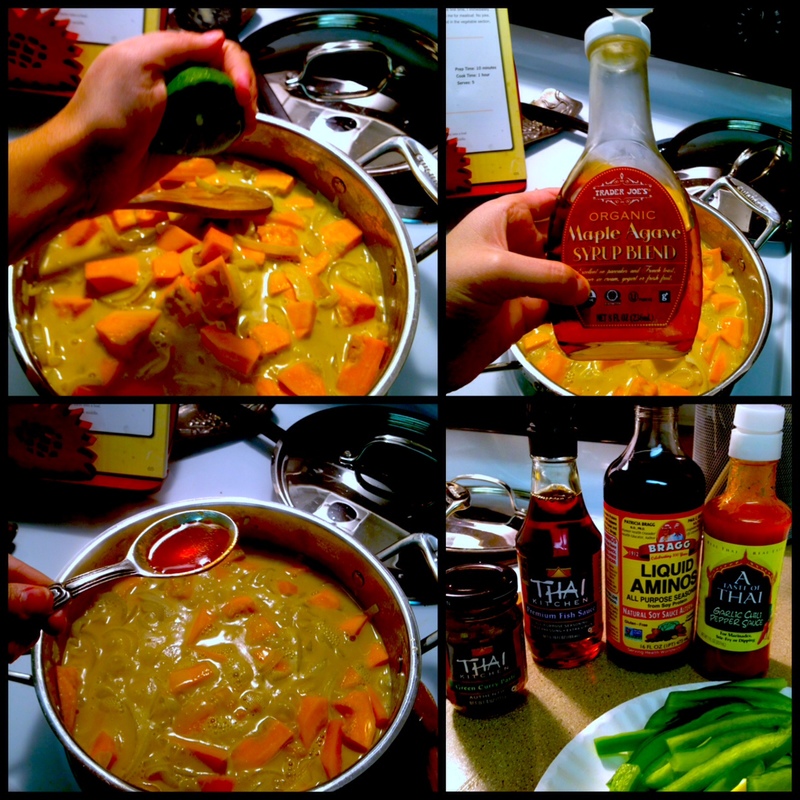 I added like a tablespoon of the amino acids, 1-3 tablespoons of chile sauce (depends on how spicy you like it) and the red kuri squash. I let this cook for about 10 minutes on simmer. After it simmered I added some lime (about half of one) 1 tablespoon of the maple/agave mix, and a tablespoon of fish sauce. Right after I added the bamboo shoots, water chestnuts and chicken to the mixture and stirred it all up. Lastly, I added the peppers, red pepper slakes and fresh basil and let it ALL simmer for a while until the squash was soft (but not mushy). Then- we enjoyed! 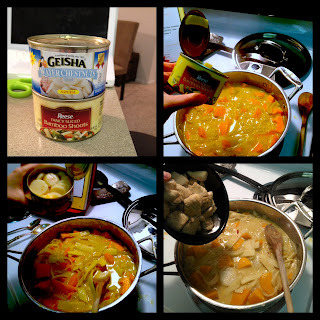 It was perfect for a rainy day and would go great on some cauliflower rice. I have tons of leftover and will be enjoying this for a couple of days. The red kuri squash was awesome. It had a smooth, nutty flavor that is really unique and delicious. IMPORTANT: When finding all of these thai ingredients MAKE SURE they are gluten free and don't have any chemical additives. It took us a while to find the right brands- you cannot assume these ingredients are clean. You have to CHECK LABELS, LABELS, LABELS!! 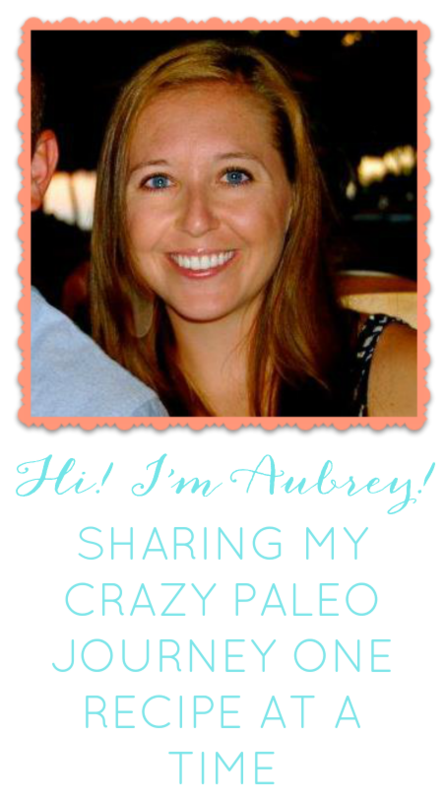 This week I am proud of myself for eating almost 100% Paleo. I need to work on eating less sugar. I need to work on drinking more water. And I need to work on getting more sleep. But I am really happy I made up a new recipe that we will eat from now on! !